Five compartment bags, one main bag, classify the cosmetics very well and make it easy to find the items you need. Moderate capacity, the daily main cosmetics can be put into carrying. 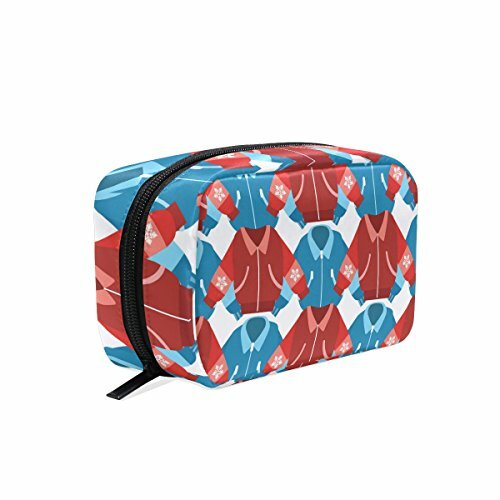 The size of this cosmetic bag is ideal for women who often work out and travel a short distance. Comfortably fit all your cosmetics or toiletries and is designed with thoughtfully laid out compartments for quick access. 1.Please allow slight manual measurement deviation for the data. 4..If you find any issue with the product,please feel free to contact us.We will fulfill your request promptly.If you don't like our product,simply request a Refund or Replacement Service,our customer service staff will solve your problems.